Pharmacy Quiz 2006 is a useful tool for increasing your knowledge about prescription medications, but don't expect any extras. Despite a stark and unappealing interface, it does offer six multiple-choice test modules that test your knowledge of brand and generic drug medications, treatments, drug classes and prescription abbreviations. After selecting your answers, the program instantly calculates your score and displays test results, though the results cannot be printed or saved. In our tests, Pharmacy Quiz took quite a while to load and we noticed a slight system slowdown while running the program. 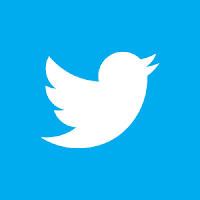 Aside from these issues, those in the medical field may find this application helpful for learning about prescription medications. 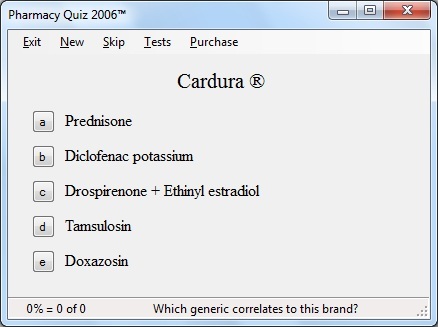 Pharmacy Quiz 2006 is an easy, efficient, and user-friendly program for learning hundreds of drugs. Features include quizzes for drug brands, generics, drug classes, treatments, drug stems, and prescription abbreviations. It is a very helpful program for pharmacy technicians, pharmacists, nurses, CNAs, LPNs, EMTs, medics, doctors, medical professionals, and anyone studying medicine or pharmaceuticals.